Mayo is the third biggest county in Ireland. It boasts vibrant towns and many charming villages across the landscape of the county. 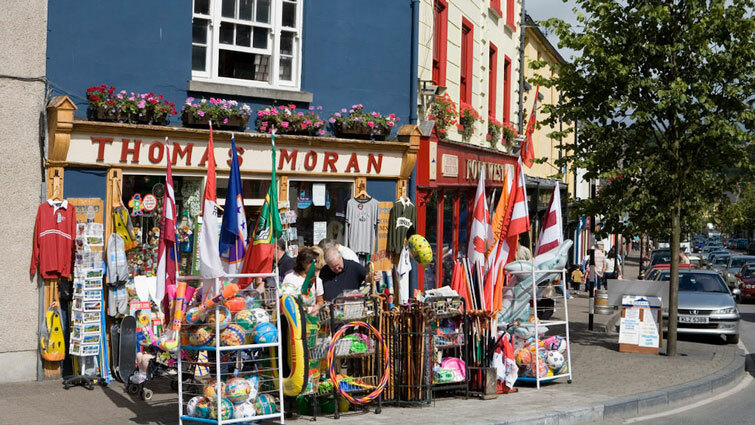 Walking along the historic streets of its towns and villages the intrinsic character of Mayo built heritage comes to the fore. The wonderful traditional shopfronts, made by skilled craftsmen, are an important and integral part of this built heritage and give towns and villages their special magic which captures visitors’ heart. Fine examples can be found in large towns such as Ballina, Westport, Castlebar and Claremorris or in small villages such as The Neale, Hollymount, Kiltimagh and Crossmolina. 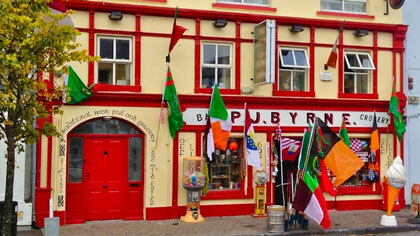 The traditional Mayo shopfronts give the charming character of towns and quaint villages alike. 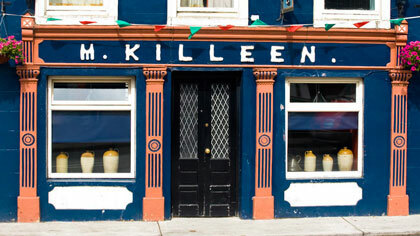 The main elements of an Irish shopfront are: entablature, console, column, window and door.